The Supreme Court on Friday held that negligence, unless gross on part of an advocate, would not amount to professional misconduct. 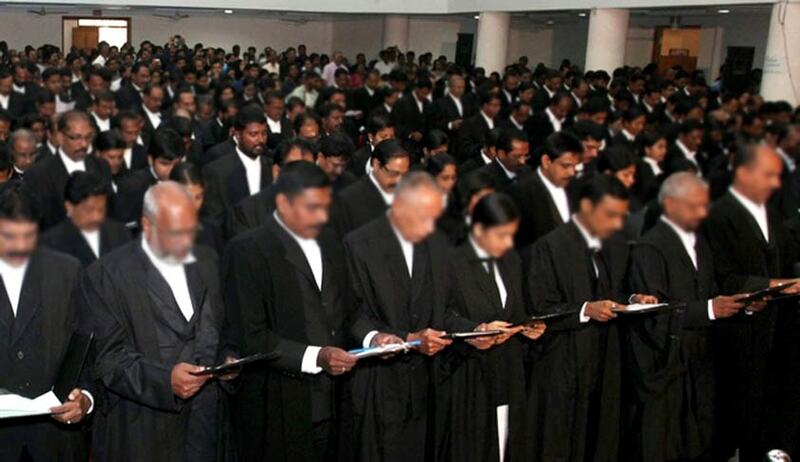 A division bench comprising Justice Dipak Misra and Justice R Banumati was considering a plea filed by a Kerala lawyer against the order passed by the disciplinary committee of the Bar Council of whereby, it found him guilty of gross negligence in discharge of his professional service to the client and accordingly, imposed the punishment of reprimand with a further stipulation that he shall pay a sum of Rs.5,000 to the Bar Council of India and an equivalent amount to the complainant within two weeks' time from the date of receipt of the order, failing which he would stand suspended from practising for a period of six months. The allegation against Advocate Kathir Kunju was that a cheque that was handed over to him to initiate criminal action against one Ramachandran under Section 138 of the NI Act was not returned to him. The appellant contended that he thought it was appropriate not to file a complaint under the NI Act, but he felt it apposite to file a complaint case before the competent magistrate under Section 420 of the Indian Penal Code and accordingly he did so. The cheque was handed over to the police. The disciplinary committee observed that as the appellant was an advocate, he should have been more careful and, therefore, he was guilty of gross negligence and accordingly, imposed the punishment. Senior Advocate Sanjay Parikh argued that even though the cheque was kept back by the appellant, there is no gross negligence. “On the contrary, as he would submit, it was handed over to the investigating agency which was directed by learned Magistrate to carry out the investigation under Section 156(3) CrPC. His only fault is that he could not get the acknowledgment,” he said. Accepting his argument, the bench observed that the act of the present appellant cannot be treated to be in the realm of gross negligence. “It would be only one of negligence. The tenor of the impugned order, as we notice, puts the blame on the appellant on the foundation that he had not received the acknowledgment. He has offered an explanation that he had given the cheque to the police”. Relying on the constitution bench judgment in Mr. 'P' an Advocate, Re v. the court held that mere negligence or error of judgment on the part of an advocate would not amount to professional misconduct.